The best part of Journy is that our recommendations come from a global network of experts, from famous chefs to in-the-know locals. They share their insider knowledge of the places they live in and visit, and based on your unique preferences, our concierges put it all together for you in one cohesive travel plan. Start planning your next Journy today. Caleb is a cosmos-loving, terroir-hunting, truth-searching wine lover. He's wine director and managing partner at Compagnie des Vins Surnaturels Centre St. in SoHo, NYC, and believes that farmers are rockstars. Caleb was also named Wine & Spirits Magazine's Best New Sommelier of 2016, and featured as one of Food & Wine Magazine's 2017 Sommeliers of the Year. 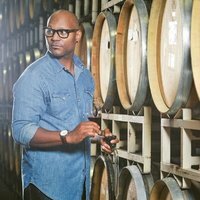 A former banker turned sommelier and winemaker, Andre was the first African American to win the title of Best Young Sommelier in America back in 2003. Formerly head sommelier at Thomas Keller's Per Se in NYC, he's now at the helm of Mouton Noir Wines, highlighting star growers and winemakers from Oregon. Mark is the Culinary Director of Shake Shack. With restaurants in over 63 locations, including many throughout the Middle East, Mark has become an expert on local cuisines in these cities from his frequent visits every year. One city he often look forward to returning to is Dubai. 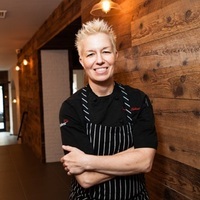 Elizabeth Falkner is a renowned chef, author, TV personality, artist, and culinary instigator. She's starred on Iron Chef and Chopped All Stars to name a few. After owning several successful restaurants, she travels, cooks, and teaches. Who says models don’t eat? Aiste is a Lithuanian supermodel-turned expert gourmand. Her blog, Luxeat, started in 2004 as a way to share her jet-setting experiences with family, but quickly turned into a go-to source for the stories behind fine dining all over the world. She's our go-to expert on dining in Paris, London, Spain, Japan, and beyond. 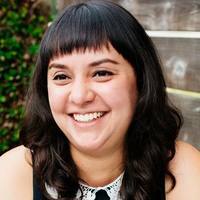 Heidi is one of Zagat's 30 under 30 in the Bay Area. She's worked with the "who's who" in the food world, including Thomas Keller, Mike and Lindsay Tusk, Tyler Florence and David Chang, and was most recently the Culinary Liaison at the Restaurant at Meadowood in Napa Valley. Katie writes about food and the people who make it. 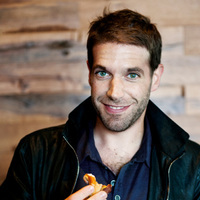 The cookbook author, sommelier, and creator of two food and drink apps also has degrees in Art History and Gastronomy. She's your ultimate go-to for the city of Rome. Alessia is a professional in food & wine PR. Her work with some of the greatest chefs of the world established a strong network of relations and affirmed her role as “food & wine expert” in her home base food scene of Milan. Whenever possible, Alessia flies to her second home in Ibiza, where she’s in the midst of some new food and music adventures. Photographer. Coffee Snob. Crazy Cat Lady. Ceramics Collector. She’s worked with Ruinart, Cartier, St. Regis, NY Times, WSJ and more. Dream job? The Hermes catalog. Looks forward to making pour overs when she gets home from her travels. Writer. Footwear Enthusiast. Booker, Chefs Club by F&W. His work’s been in the likes of TIME, Bon Appétit, FOOL and National Geographic. 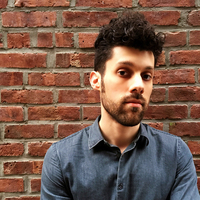 Aaron is authoring a book about tipping points in the history of gastronomy. 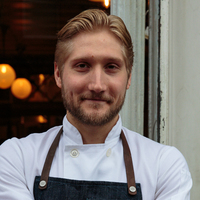 Ali moved to Copenhagen in 2011 after having dined at noma over 20 times. 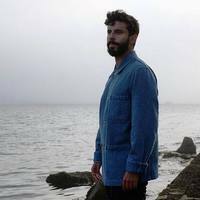 He lived there for 5 years, working with Rene Redzepi to establish MAD, an annual symposium \"that works to expand knowledge of food to make every meal a better meal.\" Ali also founded Food Snob, a blog highlighting his culinary adventures around the world. 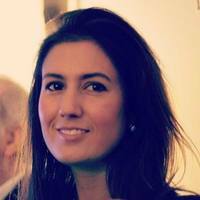 Alia Akkam is a food, drink, travel and culture writer for various publications. Born and raise in New York City, she currently lives in Budapest. 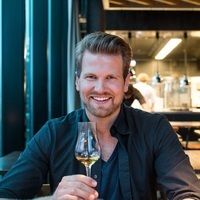 Based in Oslo, Anders Husa is a marketer and food lover who dines at the best restaurants in Scandinavia and around the world. He shares his adventures and curated city guides on his blog Foodie Stories and on Instagram at @andershusa. 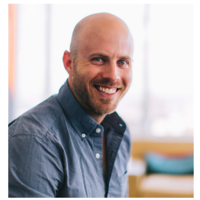 Adam is the founder of Umami Burger, the co-founder of 800 Degrees Pizza, and a father of two. He's also managing director of Ad Vantage Restaurant Partners. Co-Founder of The MP Shift, a New York-based concept, design and branding studio, which specializes primarily in hospitality & lifestyle. 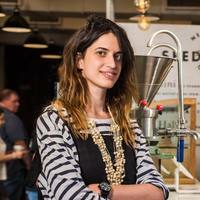 Stef Shapira is a food researcher, promoter, writer and (most importantly) eater. She is a publicist at Austin’s Resplendent Hospitality where she works with some of the city’s best creators of food & drink. Betty is a Hong Kong native, currently based in NYC. She's a die-hard food lover and blogger, and frequently travels to Tokyo to eat. Having eaten her way through most of Tokyo's top restaurants, she shares a few of her favorites. 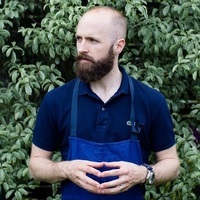 Andrew is a chocolate innovator at Mast Brothers Chocolate, and the cofounder of a class Tasting Society BK, a supperclub in Brooklyn that explores seasonal, globally-minded cuisine. Their recent dinners have offered creative twists on Southeast Asian street food. After 3 years as a sous chef at Eleven Madison Park, Andrew quit to spend the summer traveling all throughout Southeast Asia. 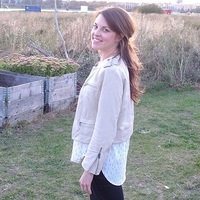 Danielle Ekblad is a Swedish nomad currently living in Stellenbosch, South Africa. Her insatiable drive for adventures and passion for food has led her to her latest project @healthnut.lifestyle that will be launching their health food range in Sweden later this year. Briana hosts the "Native" show on Heritage Radio Network. She's also a pilates & yoga instructor. 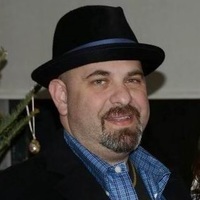 Chris is the chef and owner of All'Onda and Uma Temakeria in NYC. All'Onda combines Venetian and Japanese sensibilities, while Uma Temakeria specializes in Japanese temaki (sushi hand rolls). 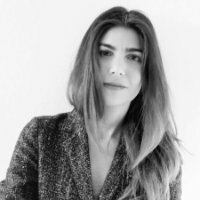 Leiti is a culinary connector, journalist, and advisor to big brands and food tech companies the likes of Cover, Sosh, Twitter, and Unilever. 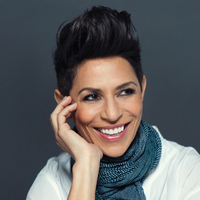 She is a food show host who covers the red carpet annually at The James Beard Awards, and The World's 50 Best Restaurant Awards. Her work has been featured in Forbes, Fortune, Town & Country, and Cosmopolitan. Alex Conyngham is Co-Founder & Director of Slane Irish Whiskey, a rock 'n roll take on Ireland's legendary spirit. 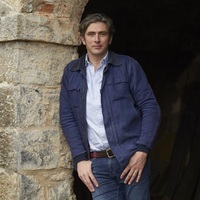 Alex's expertise spans entrepreneurialism, distilling and farming, which are rooted in the Conyngham family's three centuries of ties to the village of Slane. He travels the world as the face and voice of Slane Irish Whiskey. In a typical day, Alex may be riding a tractor in the morning and leading a bartender training session in the afternoon. Deuki is the executive chef at Kang Do Hong Baekjeong, the best Korean BBQ spot in Manhattan. The Momofuku and Jean-Georges alum is author of "Koreatown, USA," which chronicles Koreatowns across the entire country. As Partner & PR manager of Mezcal Amores (known as Mezcal Amarás in the US), Deborah has over 8 years of experience in luxury PR in Mexico. She’s also the Founder and Director of Dama Tiburon, a platform for local designers, much like a pop-up store with the best fashion, jewelry and accessories by mostly Mexican designers. 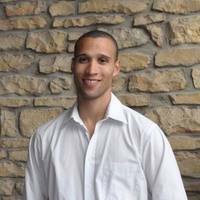 Mississippi native Brad McDonald left his team at Colonie and Gran Electrica in Brooklyn, New York in 2016 and headed to London. He resumed his career at Mexican restaurant Casa Negra before moving to be Executive Chef at The Lockhart and Shotgun BBQ. This is where he introduced Londoners to the dishes of the Deep South. In September, he published his first cookbook Deep South: New Southern Cooking. McDonald currently lives in East London with his wife and two kids. 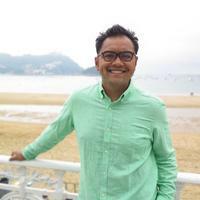 David Dudi Califa, also known as The Hungry Tourists, hosts intimate culinary tours around the world that spare no expense as they dive deep into the local food culture. 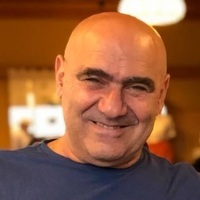 Based in Israel, he’s well-connected to the global food scene with his extensive network of chef-friends around the world. 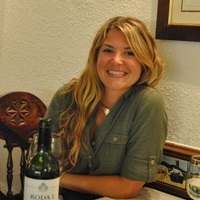 Carolyn Bánfalvi is an author and journalist specializing in food, wine and travel. 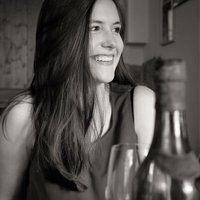 She organizes wine tours for her tour company Taste Hungary and curates the unique Hungarian wines at her wine shop and tasting room, The Tasting Table Budapest. Bánfalvi divides her time between Budapest and Washington DC. 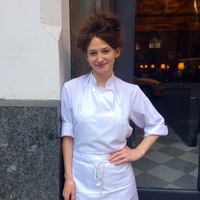 Caroline is the executive pastry chef at Scoops & Sweets in Brooklyn, NY. Whenever she travels, she makes sure to seek out not only the best food and drink, but also the best outdoor sports. An adrenaline sports junkie and a Los Angeles native with a serious case of wanderlust, is a co-founder of TechTable, a platform that brings together the hospitality, technology, and investing communities. Her motto: always say yes to an adventure. Although Dimitri Tran hails from France, he recently moved to Bali after spending summers there as a kid. In addition to scouring the Island for the best diving spots, Tran is in the process of opening his own luxury hotel for discerning travelers. Dominique is the chef/owner of Atelier Crenn and the founder of Petit Crenn, which celebrates the cuisine of Brittany. In 2016, she was named best female chef in the world by the Diners Club 50 best list. Once an aspiring chef, Michael is now a James Beard-nominated food photographer. 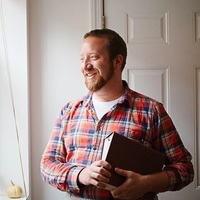 He travels the world, documents chefs in their restaurant kitchens for Back of the House, and hosts a food, art, and design podcast on "THE FOOD SEEN" on Heritage Radio. Jason Wang co-founded restaurant delivery app Caviar with his friends back in 2012 to address what they saw as a dearth of quality food available for delivery. Since Caviar was acquired for $90 million by Square in 2016, Wang has worked on advising food startups and brought a franchise of The Halal Guys to the West Coast. Former general Manager at Michelin-starred restaurant Betony. A Brooklyn resident, he also founded Rockey’s Milk Punch. 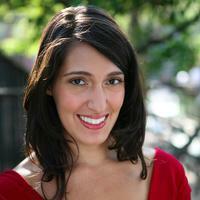 Emily Peterson is an awarded food writer, culinary instructor, and professor of food studies at NYU. 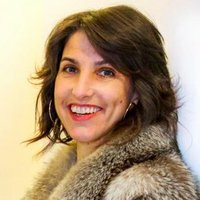 Her work has been featured on Edible, Modern Farmer, Martha Stewart, Robb Report,The New York Times, The Village Voice, Time Out NY, Huffington Post, CBS, NBC, FOX, Food Network and Vegetarian Times. 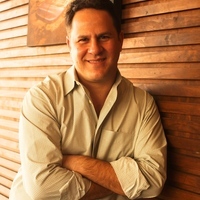 Jeff Trenam is the founder of Blue Plate restaurant in San Francisco. He also consults with established and emerging technologies in hospitality and food service to find opportunities for improvement in a changing industry. 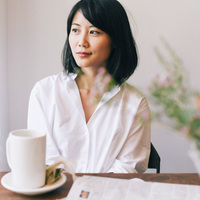 Jen Loong is the founder and CEO of Wandersnap, the photo service that connects individuals with pro-photographers throughout Asia. Loong also works as Asian Brand Director for TOMS, helped Lululemon launch in Asia and spent time with Alibaba. 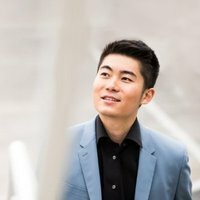 Based in Shanghai, Loong has also lived in Hong Kong and Vancouver. Born and raised in Mexico, Enrique Olvera seeks to bring a new idea of Mexican cuisine to the world. 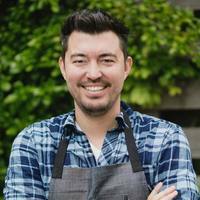 After studying at the Culinary Institute of America, Olvera worked at Chicago’s Everest before returning to Mexico City to open Pujol, which is currently rated as fourth best restaurant in Latin America and twentieth best restaurant in the World, according to the World’s 50 Best Restaurants list. 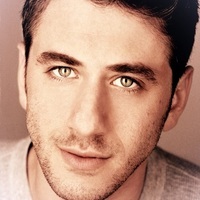 He also operates Cosme in NYC, a casual chain of restaurants in Mexico City called Eno and Atla, an all-day cafe in NYC. Visual Storyteller. Egg Lover. Digital Art Director, Barneys NY. Got nicknamed after her egg-shaped head. 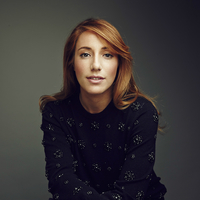 Has worked with WWD, Vogue, Refinery29, The Plaza Hotel, Dr. Jart+ and British Airways. 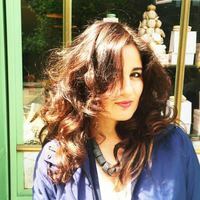 Born and raised in the island of Crete, Eva May recently opened Evalia Hotel. After traveling around the world and living in Italy and the USA, Eva May recently returned to her native Crete to open the Evalia Hotel. May welcomes guests as if they were family, with a glass of raki and a smile. Visit evalia.gr to book a stay and join the family. Epicurean and Restaurant-tech hustler beating in the heart of San Francisco. Three things I crave constantly: the woods, a single malt, and sushi. 12-month Itinerary on queue - Italy, Vietnam, Scotland. 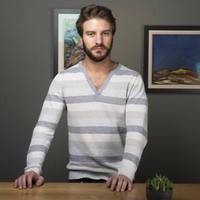 Guillame Guevara born in Mexico to a French family—he loves multicultural stuff in general. French is his first language (despite being born in Mexico), and eventually learned Spanish and English. 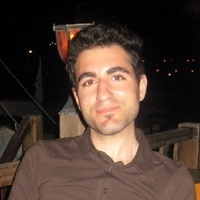 He has worked for a variety of hotel companies around the world (he studied hotel management in Switzerland), as well as collaborated with marketing companies, and written a few articles here and there. He love food & drinks, travel, nice cars, and other such “boy” things. 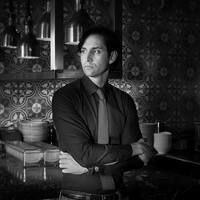 He's the founder of MISCELANEA, a cool Mexican General Store in the East Village. Entrepreneur Hitha Palepu made it her mission to master packing like the pros after one too many business trips spent wearing the wrong shoes. 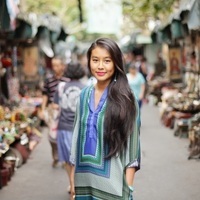 She’s turned her discoveries into the popular blog Hitha On The Go. 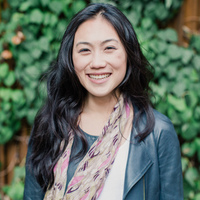 When not blogging, she advises on women-led startups and co-founded Bridge2Act, the platform that demystifies charitable giving. Palepu lives in New York City with her husband and son. 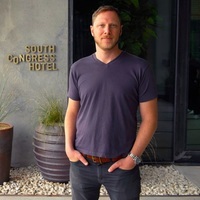 Jesse Herman is founding partner of South Congress Hotel and La Condesa, Sway, Central Standard, Café No Sé & Otoko restaurants, as well as Mañana, a coffee shop in his adoptive city: Austin, Texas. 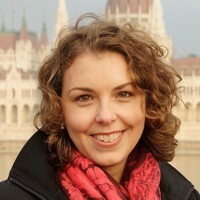 Jenny Miller is a professional travel writer. 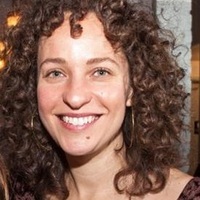 A former editor at New York Magazine's Grub Street. Her work has appeared in Departures, Bon Appetit, New York Magazine, and many others. 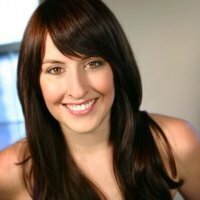 Jaci Badzin is a Marketing & Events Strategist. 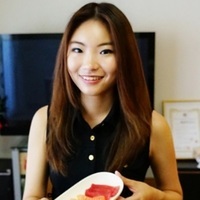 She is a cofounder of the hospitality-tech summit TechTable. 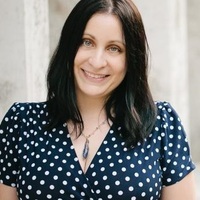 Previously Jaci worked for Google as a Marketing Events Manager for products including YouTube and Google Analytics; she was also the co-lead and curator of the "Chefs at Google" program. 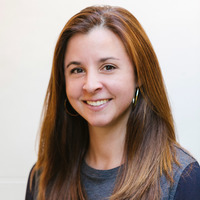 Prior to Google, Jaci worked at NIKE as the Brand Experience Manager for NIKEiD where she developed the experiential marketing program for NIKEiD.com. 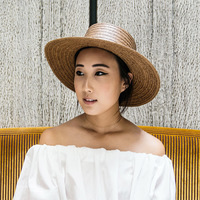 Jules Kim is the globetrotting jewelry designer behind celebrity favorite brand Bijules. Her iconic fingernail ring has appeared on everyone from Beyonce to Lena Dunham. Bijules has stores around the world from Paris to Seoul, but her flagship studio is in Soho, NYC. 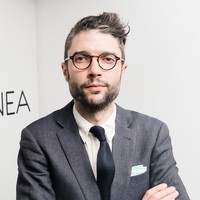 Joe is the beverage director and co-owner of some of NYC's best Italian-focused restaurants, including dell'anima, L'Artusi, Anfora, L'Apicio (featured on Bravo's Best New Restaurants), and the recently opened Alta Linea on the High Line. Joe frequently travels to Italy to source wines for his restaurants, and one of his favorite more off-the-beaten-path regions is Abruzzo. 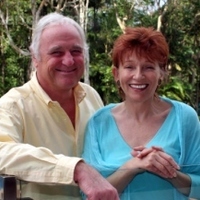 As hoteliers based in Australia’s Byron Bay, John & Lyn Parche are committed to providing the best in wellness hospitality to all their guests at The Byron at Byron Bay. John Parche got his start in the hotel business in Australia in the 1960s, studied hospitality in London and has worked at hotels throughout Europe and Asia. John is the Managing Partner of Batard, a Michelin-starred restaurant in NYC that was named Best New Restaurant in 2015 by the James Beard Foundation. 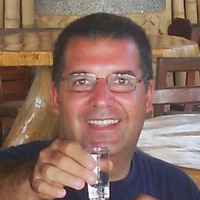 Previously, John was the Maître D'hôtel at Daniel in NYC and Gary Danko in San Francisco. When he's not busy making guests smile, he's returning to the Austrian Alps for the best skiing in the world. 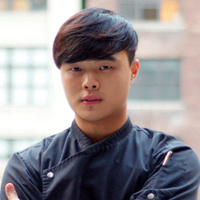 Jonathan is the Chef and Owner of Fung Tu in NYC, which was awarded two stars by the NYTimes. While working at the famed Per Se by Thomas Keller, Jonathan chose Venice as the city he would stage. 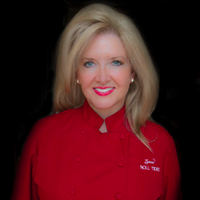 Chef Lynne Weems Ryan owns Chefs to Dine For, which promotes chefs and restaurants and consultants for restaurant groups. She’s worked as an executive and personal chef, launched her own catering business and sits on the board of several chef organizations. Chef Ryan is a graduate of the Culinary Institute of America and the University of Alabama. Keith is a New York City restaurateur. His company, Durst Hospitality Group, has built multiple Michelin-starred restaurants as well as projects in the new World Trade Center, and Brookfield Place in the World Financial Center. Kiran is a TV producer and has worked on projects for both the Travel Channel, and BBC. As a cocktail lover and connoisseur, New Orleans, the birthplace of the cocktail, is naturally one of her favorite destinations. 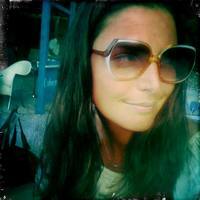 Meri Mura is the owner of Followmu.com, a blog about food, foodie insights and food trends. She is also the cofounder of SanShin sas, a digital strategy agency. She currently splits her time between Milan and London, and knows every nook and cranny in each city. Marc Leifheit grew up on Ibiza and knows the island’s local spots intimately. 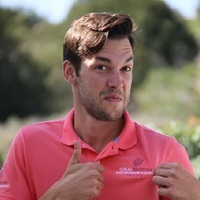 He currently works for his family’s yacht rental company, Coral Yachting, which organizes boat tours that let visitors immerse themselves in Ibiza’s natural beauty. 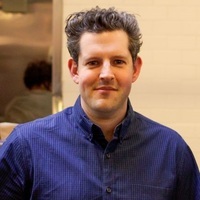 Mark Berger heads up marketing for Sunday In Brooklyn, Williamsburg’s all-day neighborhood restaurant. When not promoting the restaurant, he also works as an actor and producer. 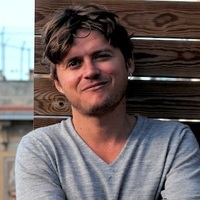 Matt is the co-founder of Roads & Kingdoms, a journal of food, travel and foreign correspondence. He's cooked on boats in Patagonia, worked at a carwash in Barcelona, and is the author of Rice, Noodle, Fish. 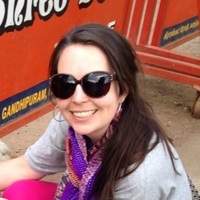 Kristen Hawley is a San Francisco-based writer and editor. 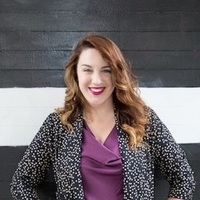 She’s the creative brain behind Chefs+Tech, a weekly newsletter covering the niche but fascinating intersection of chefs and restaurants + digital and social technology. She loves California wine country, the Swiss Alps, and Paris, most of all. 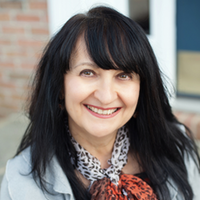 Kylie Mitchell-Smith has been working in media, PR and event management for the past 25 years. She got her start as Events Coordinator for the Royal Albert Hall, London, where she coordinated events for the likes of Elton John and Eric Clapton. In 1995 she returned to Australia and worked in radio, music publicity and as a voice over artist. 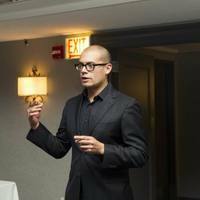 Michael Bonadies is highly respected in the hospitality industry as an accomplished entrepreneur, leader, writer, and speaker. 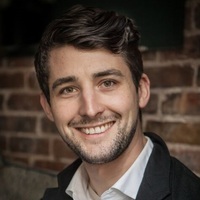 Matt Rodbard is the editor-in-chief of Taste, the online magazine for home cooks who enjoy reading about approachable recipes, ingredients and foods they have yet to discover. He’s also author of Koreatown: A Cookbook. 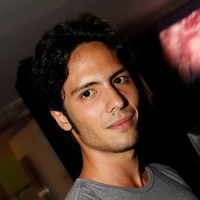 Miguel Andrade is a young food writer and reporter based in Lisbon, Portugal. Read his work on Condé Nast, Wired, FOOL, Time Out and many more. If you travel to Portugal, this is the guy you want to hang with. 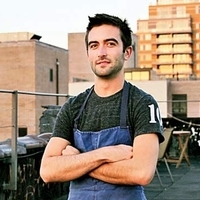 Mike is the chef at Vinegar Hill House in Brooklyn. Born into a family of cooks and bakers, he learned pierogi and marzipan at the dinner table and everything from sauerkraut to seasonal preserves at events catered by his father. 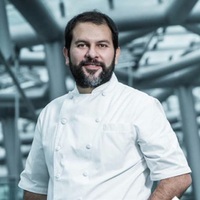 Santiago is the managing partner of Cosme, the best Mexican restaurant in NYC from chef Enrique Olvera, who holds the number 16 spot for best restaurant in the world at Pujol. Santiago is a Mexico City native who left the world of banking to pursue his true passion in food. Rhiannon Taylor is a photographer based in Melbourne, Australia. 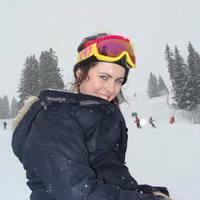 She’s the eye between the luxury travel blog In Bed With and her work has been featured in Condé Nast Traveller, Architectural Digest and Gourmet Traveller, among others. Payal Shah is founder of L’Dezen, the architecture-inspired jewelry line that honors the essence of luxury gemstones. Shah is based in Hong Kong, went to university in England and has been traveling her whole life. 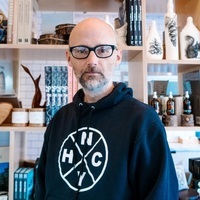 Moby is a world-renowned musician, DJ, songwriter, producer, and restaurateur. He's the owner of Little Pine in LA, an organic vegan spot that donates 100% of profits to animal welfare groups. 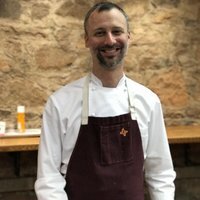 A native of Valencia, Spain, Perfecto spent extensive time in San Sebastian and Catalunya working at the most renowned restaurants in the world, including Martin Berasatagui and El Bulli. He is an expert on Spanish cuisine. 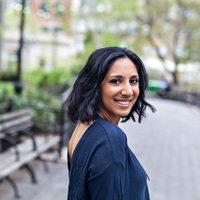 Naz is the founder of Bitten, a one-day food conference in NYC that brings together innovators and thought-leaders in the food space. She is also the founder of Run River, and works with established brands and startups to create and execute meaningful marketing engagements. She most recently moved back to NYC from LA. Creative consultant, visual journalist, architecture geek. Launching @bonweekender. DTLA advocate, fighting against ‘disappearing cities.’ Featured in WSJ, Who What Wear, Elle, London Evening Standard. 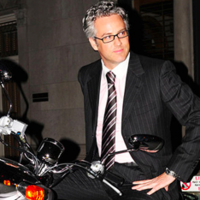 Nicholas Coleman, chief oleologist at Eataly NYC, is a renowned olive oil expert and co-founder of Grove and Vine. Grove and Vine teams up with the finest olive oil producers in the world to create proprietary custom olive oil blends at every harvest. His oil has been featured at Del Posto, and can be ordered online at Grove and Vine. 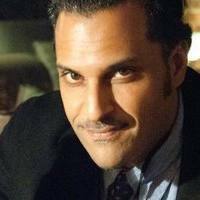 Sabato Sagaria is the Chief Restaurant Officer at Union Square Hospitality Group and professional enabler of food, drinks and fun! Ray Walker has been making wine in Burgundy under the label Maison Ilan since 2009. He is the first American ever to "make Le Chambertin, the grand cru red Burgundy that is one of the most revered names in wine." Sarah is an Australian who has lived, worked, and eaten her way through NYC for the past 14 months. She moved to San Francisco last summer and has been exploring the incredible California dining scene since! 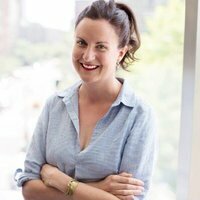 The founder of the Aussie who Ate the Big Apple and former editor-in-chief of an online travel publication, Sarah is an expert on traveling well. 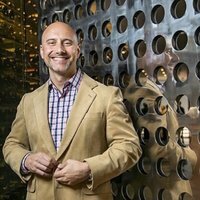 Paolo is a native of Rome and the owner of VFP Partners and Mulino A Vino, a wine bar and restaurant in NYC known for selecting food pairings after you have selected your wine. 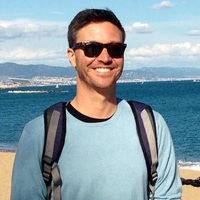 As much as Nick Anderer is our go-to expert for advice on what to do in Rome (both of his much-loved restaurants in NYC, Marta and Maialino, feature Roman-cuisine), he's also just as enthusiastic about Oahu in Hawaii. If he weren't a chef, he'd be a surfer, and loves it so much that he vacations there at least every other year. 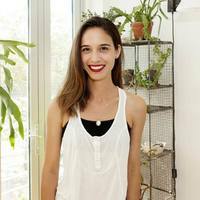 Nicole Centeno is the founder of Splendid Spoon, the soup company that makes it easy to eat healthy and feel great. 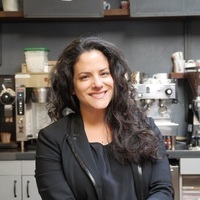 Centeno launched Splendid Spoon while working at Conde Nast—when she started bringing more soup than papers to the office she knew it was time for a career switch. Centeno lives in New York City with her husband and two young sons. 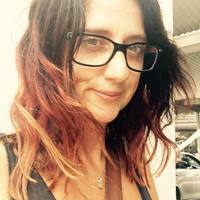 A born-and-bred Melbournian, Rebekah Pedler works in her home city as a chef at Dinner by Heston. She’s always on the lookout for new favorites, whether that be noodles for breakfast, or the city’s best craft cocktails. Musician. Scribe. Filmmaker. Gastronaut. When Skiz isn’t busy creating, he travels off the eaten path. He's the author of "Rice & Curry"cookbook and currently takes small groups to explore the hidden wonders of his Sri Lankan homeland. 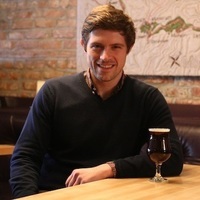 Stephen is the founder of Imbibe and Inspire, and the cofounder of GoWhisk. He started his career working at Alinea, Eleven Madison Park, and Torrisi. He counts some of the best chefs in America as his buddies. On a trip to Charleston, none other than Sean Brock was his tour guide. 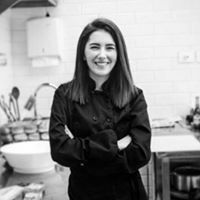 Tina Wazirian is a chef and restaurant consultant based in Beirut. She trained at Le Cordon Bleu in London, before moving to Los Angeles where she immersed herself in the city’s innovative food culture. Back in Beirut, she appears on TV and works with food entrepreneurs to develop their concepts. 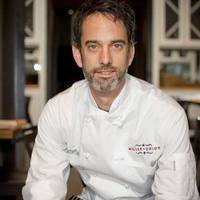 Steven Satterfield is the Executive Chef and Co-Owner of Miller Union, in Atlanta, GA. Satterfield was a James Beard Finalist for Best Chef: Southeast in 2013, 2014, 2015, 2016 and won the coveted award in 2017. Bon Appetit and Esquire named Miller Union one of the "Best New Restaurants in America." Satterfield has also been featured in The New York Times, Epicurious, Tasting Table, Vice, Garden & Gun, Atlanta Magazine, and Men's Book. 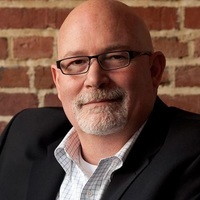 He serves on the board of Slow Food Atlanta and the local leader of Chefs Collaborative Atlanta. Satterfield is the author of Root to Leaf, A Southern Chef Cooks Through the Seasons, Harper Wave and Short Stack Editions: Peanuts, Dovetail Press. Jon left 25+ years of doing hospitality projects in 5 different countries to live 400 feet from a beach in Costa Rica with no TV, Cable, or Internet in his home. Now, he's focused on helping chefs unwind in Costa Rica, as well as introducing people around the world to discover the bounty of Costa Rican ingredients. He's currently working on a culinary tourism startup in Costa Rica. Anna is the co-founder of The MP Shift, a concept, design and branding studio based in NYC. 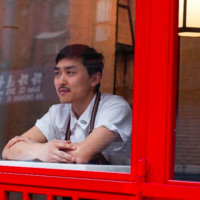 Trigg Brown is chef at Win Son, the East Williamsburg restaurant that takes Taiwanese food in America beyond the borders of Flushing. Previously, Brown was founding Sous Chef at Upland. He’s also worked at Craft and Heritage Radio in NYC and at Keswick Hall and Golf Club in Charlottesville, VA, where he grew up. Victoria James is the Wine Director at Michelin-starred restaurant Piora, in the West Village of NYC. She also writes on travel, wine and food. 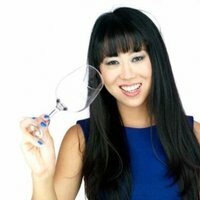 She has been named "Best New Sommelier of 2016" by Wine & Spirits Magazine, a "Top 40 under 40 tastemaker" by Wine Enthusiast Magazine, a "30 under 30" influencer by Zagat and "New York's Youngest Sommelier" by BackLabel magazine. Wendy Lyn and lived and eaten all over the world including New Orleans and South Africa. 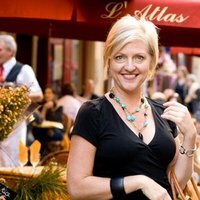 Currently, she lives in Paris where she organizes food tours for visitors and writes about her international eating and drinking adventures for outlets such as Food & Wine, Travel + Leisure and Epicurious. 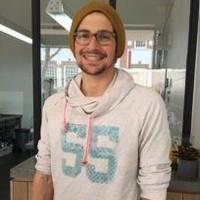 Yann Rey currently lives in Cape Town, where he opened Unframed Ice Cream, the city’s first artisanal ice cream parlor. Born in France, he was working in investment banking in New York City when he decided to become an ice cream entrepreneur. Tessa is the Sushi Girl from Singapore. She's amassed over 20K+ followers on Instagram, and is known for her passion for all things food-related, particularly sushi. A Singapore native, there's no one who knows the food scene there better. 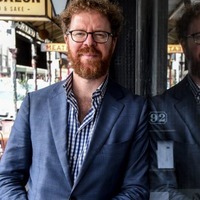 Melbourne-based restaurateur David Mackintosh has opened some of the city’s most loved restaurants including the upmarket Chinese Lee Ho Fook, Spanish chain Movida and the recently opened pizza place SPQR. Born in New Zealand, he fell in love with restaurant life after a stint in the kitchen at Neil Perry’s famed Rockpool restaurant. 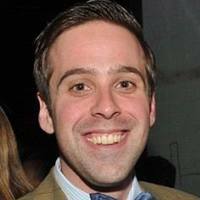 Zachary Kussin joined the staff of the New York Post as a real estate and travel reporter in November 2014. 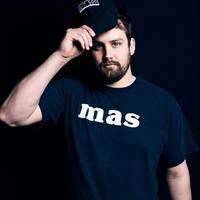 His freelance work has appeared in The New York Times, Newsweek and on the website of PBS "Need to Know." 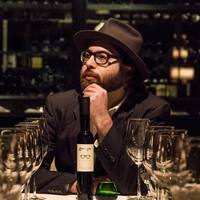 Dustin Wilson is a Master Sommelier based in New York City. 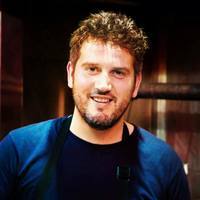 His career spans some of the top restaurants across the US – Frasca Food & Wine in Boulder, CO; The Little Nell, in Aspen; and RN74 in San Francisco. 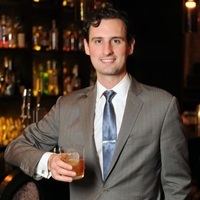 Dustin is best known for his position as Wine Director of the 3 Michelin-starred restaurant, Eleven Madison Park. This expertise led him to have a leading role in the critically acclaimed wine documentaries, SOMM, SOMM: Into the Bottle, and SOMM 3.